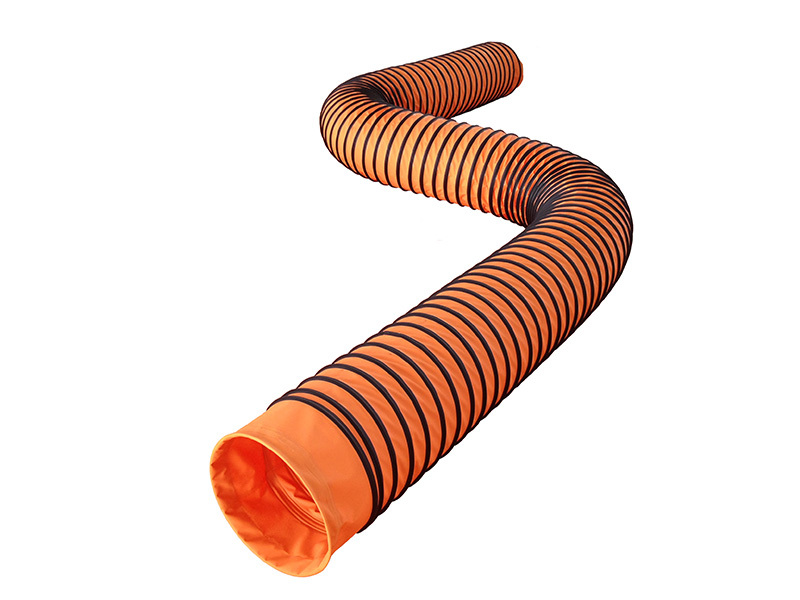 Material: Orange PVC, specially made for negative pressure ducts. The steel wire is wrapped by black rubber strip, which is wear-and-tear proof. One end with metal ring, one end with rope. 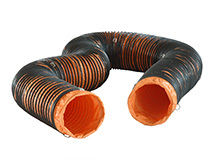 Each single duct can be connected together very easily. Wire pitch: 6cm. Can endure at least 8000 Pa. 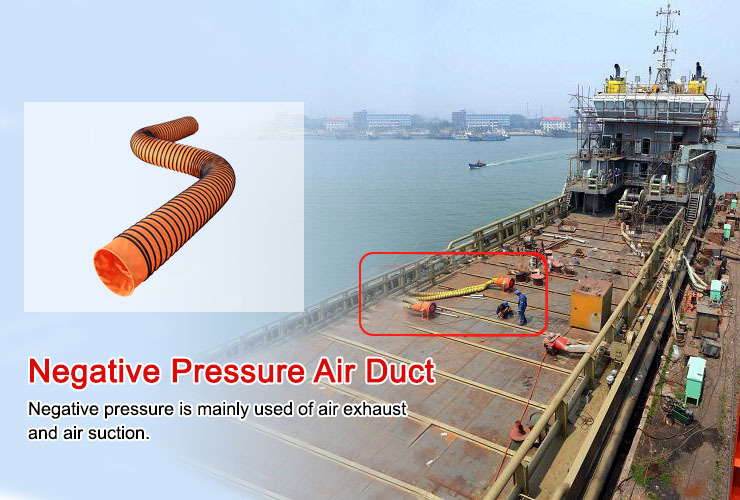 Negative pressure suction duct is mainly used of air exhaust and air suction. With 6cm pitch, the duct can stay on its own and will not collapse. 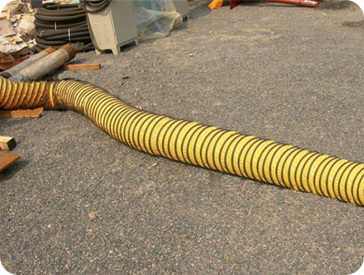 When connecting with the ventilation equipment, it will not draw back. 3. To create a better environment for the workers.